M.BARUTTI is a fine jewelry atelier borne out of Mariana Mazzei Barutti's creative and personal trajectories through a career in fashion design, textile art, goldsmithing, and jewelry design & engineering. Informed by the designer's multiculturalism and guided by her pursuit of harmony, quality, and simplicity, every piece in the M.BARUTTI collection is the result of sculptural investigations in precious adornment. A loving attention to detail and a fascination with beauty, movement, texture, and material transformation are paired with a commitment to sustainability and ethical practices in order to create distinctive precious adornment that is one-of-a-kind or in limited series. Believing that a carefully balanced union of craft and innovation is pivotal to the evolution of fine jewelry design and in ensuring social and environmental integrity in its making, we seamlessly fuse contemporary design with traditional goldsmithing and embrace groundbreaking technology such as 3D printing and lab grown diamonds, while remaining firmly rooted in the belief that the delicate poetry of fine jewelry is achievable solely through the sensibility of our artisan hands. Through direct involvement in every step of our small scale process, we ensure the integrity of our aesthetic vision and that of the production stages that bring our designs to life. 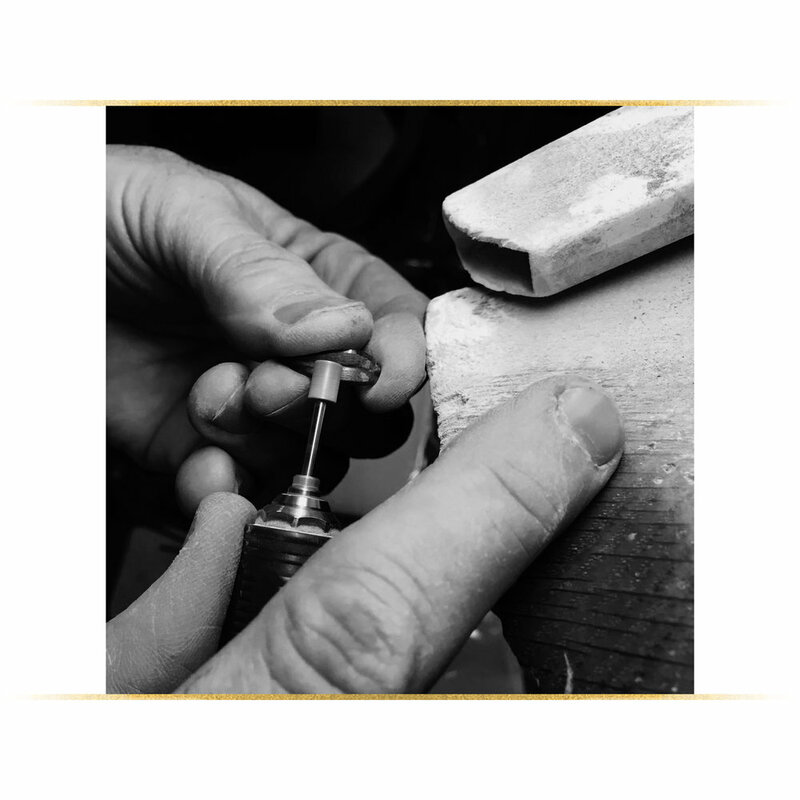 Our designs are conceived through an organic combination of sketching, wax carving, metal “play”, and CAD modeling and each piece in the collection is subsequently hand crafted by Mariana in collaboration with talented Italian gem cutters. When selecting rough gemstones and minerals, we attempt to purchase as directly as possible from miners and gem hunters or from certified sellers before having them custom cut by our expert Italian artisan partners. Our diamond sources vary according to design requirements when considering their clarity, color, cut and carat. We are proud to work exclusively with certifiable blood free diamonds, repurposed diamonds, as well as lab-engineered diamonds that are of identical chemical and structural compositions to natural diamonds.